The Geni provides women with everything they need and more. A formal look you can wear to the proper events, the Geni makes it easy to wear the up-do style without paying a lot of money. Perfect for weddings or dances, the Geni should be the gem of your hair collection. Wear it when you need it, and be glad you have it. Skip the beauty salon and all the extra work that comes with looking great. When you own the Geni, you can simply place the stretchable cap onto your head, and it will fit just right! You’ll love the feel the cap provides when you’re wearing your hair for extended periods of time. 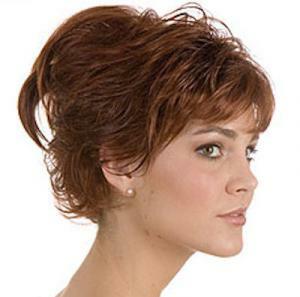 No more discomfort commonly associated with wigs of lesser quality. Available in all the right colors, you’ll find just the one you were looking for when choosing to order the Geni today. Don’t pass up this great opportunity to own beautiful hair the next time you need it most.